Paris, c.1760. St Lucia, orientated with north to the left. Paris, c.1852. 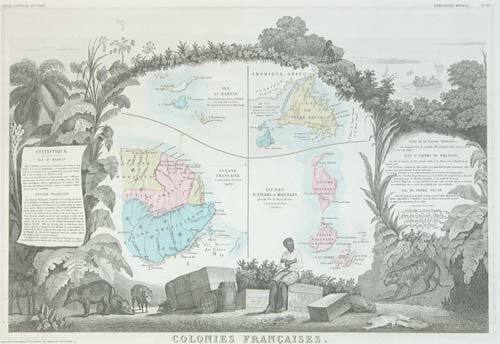 French colonies in America, including St Martin in the West Indies, French Guyana, and Newfoundland, St Pierre & Miquelon in Canada. The maps are within an illustrated border, showing trade goods including coffee and cotton. London, 1863. 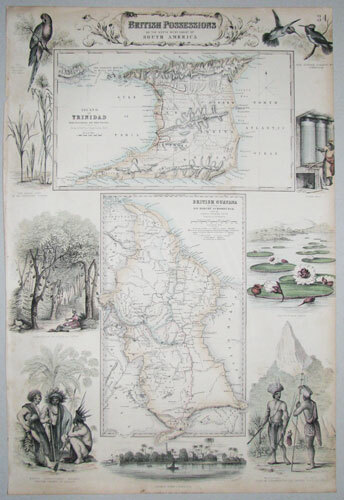 Two maps on one sheet: Trinida and Guyana, surrounded by decorative vignettes including macaws, humming birds, sugar cane and a sugar mill, a cocoa & coffee plantation, and natives. Early source material on the Danish Virgin Islands. Leipzig, 1777. The illustrations from the important account of the Moravian missions on the islands of St Croix, St Thomas and St John, then Danish possessions but now part of the British and U.S. Virgin Islands. 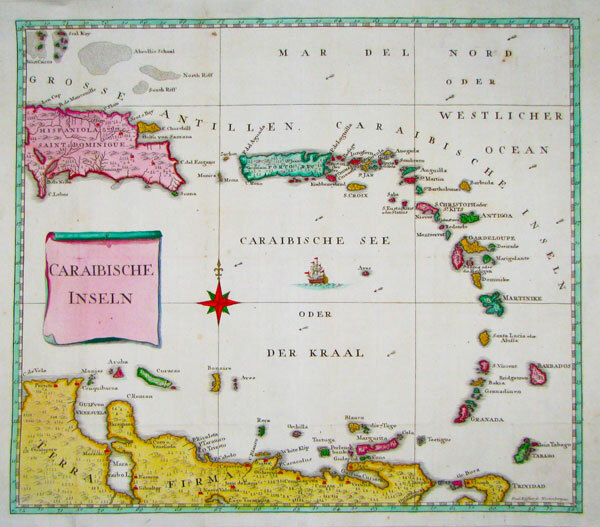 The maps are all by Paul Küffner: a general map of the Antilles; St Thomas; & St Croix. 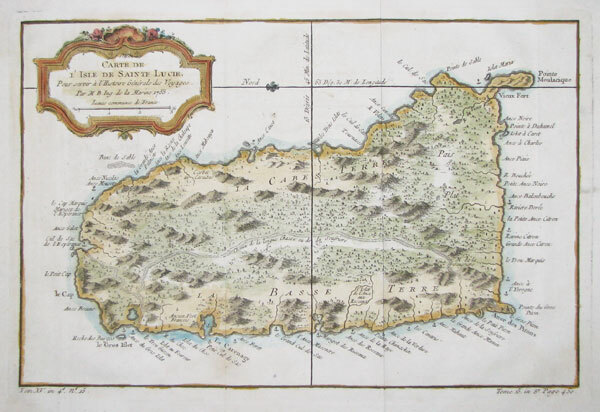 The plates are all after Oldendorp: two views of Frederiksted on St Croix, St Thomas and St John. Paris, J.Carez, 1825. Engraved by Beaupré. c. 1860. An uncommon view of St Thomas, in the Virgin Islands.